The Ithaca College men’s basketball team clinched the No. 4 seed in the Liberty League Conference playoffs. The Ithaca College men’s basketball team defeated St. Lawrence University 91–82 in Ben Light Gymnasium. The men’s basketball team lost its fourth-straight game Feb. 3 in an 83–76 loss to Rensselaer Polytechnic Institute. The men’s basketball team fell to Skidmore College 80-59 on the road for its third consecutive loss. Freshman guard Cooper Macklin discusses his first season playing for the men’s basketball team and recovering from a torn ACL. The Ithaca College men’s basketball team lost their second-consecutive game against Union College on Jan. 27. The Ithaca College men’s basketball team fell to Hobart College 99–89 on Jan. 26 in Geneva, New York. 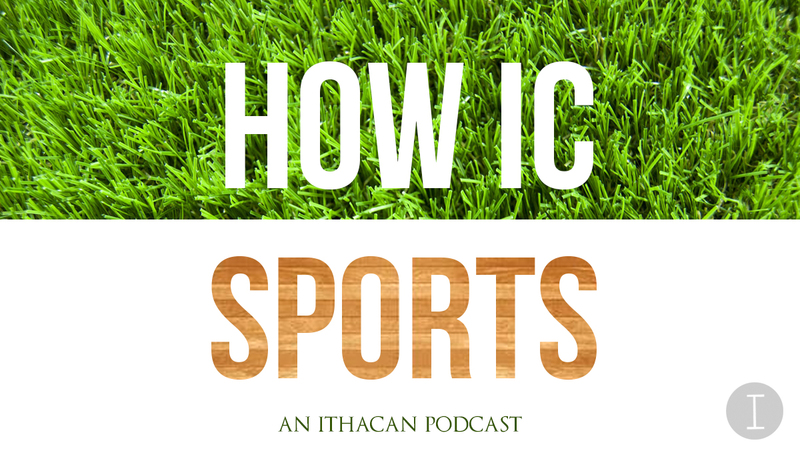 On this week’s episode of “How IC Sports,” Samantha Cavalli and Cal Dymowski sat down with Marc Chasin, men’s basketball senior guard, to talk about his experience playing overseas and the impact of being coached by Fox Sports analyst Doug Gottlieb. The men’s basketball team has started to focus on recruiting players from Florida, an area the coaches recently discovered was full of quality talent.